What I love about black and white polka dots is that it’s timeless. The print is always in style and this ruffle sleeve top is a fun twist on this classic print. RED is a big color trend this season and I love how the color pops when paired with black and white. I found these block heel boots at Target and am so impressed with the quality and comfort. They also come in black if you’re not comfortable wearing red yet. I added my bright white cat eye sunnies to add a little retro vibe to the look, and my favorite new Chloe dupe handbag. I picked up both of these on Amazon and both have become major wardrobe staples for me. Another reason I love polka dots is that you can easily dress it up or down. 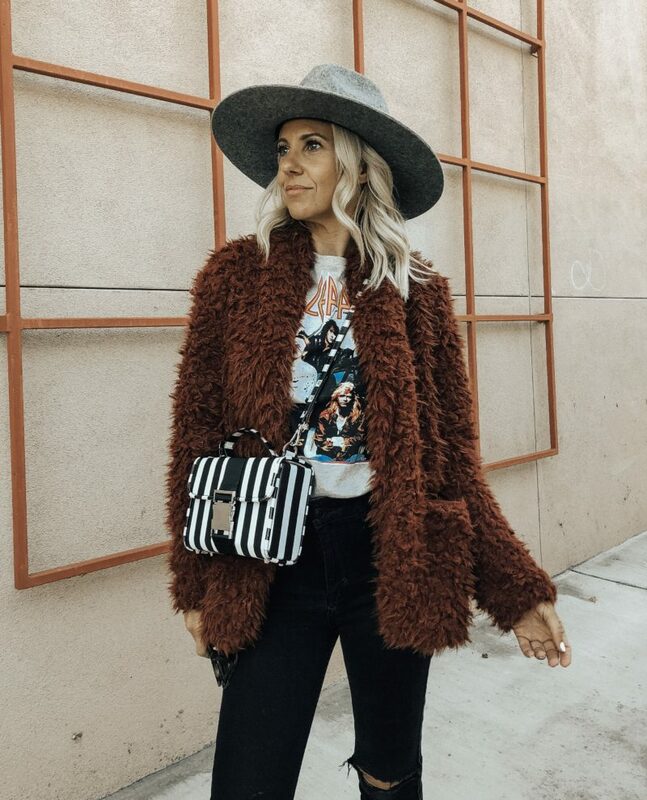 Here I’m wearing it casually with high rise denim but swap out the denim with black leather pants to dress it up a little more or pair it with a skirt for an even dressier look. 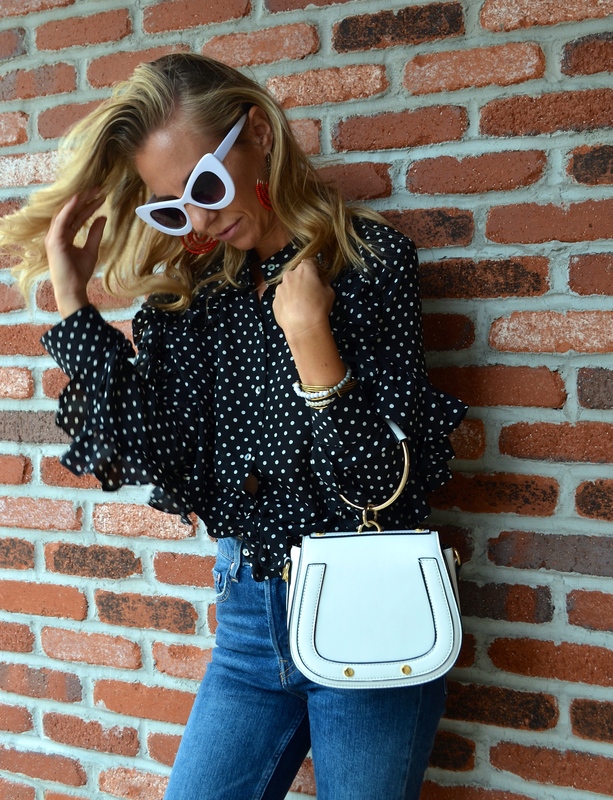 What do you think of the way I styled this polka dot top? I’d love to hear your thoughts. Love how you styled the polka dot top!! It seriously looks so great with the red boots! Love, love love. Thanks so much for reading!! I truly appreciate the support!